Bring the magic and meaning to your holidays this season. Involve your family, especially your children or grandchildren, and YOUR inner-child. Incorporate traditions that you are fond of, special foods, readings, stories, games, decorations, music, etc. or start your own! If you haven’t experienced the excitement of the holiday season in a while, now is the time to think about how you would like it to be different. Doing an activity together may be fun. 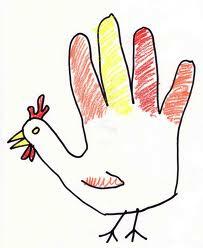 An easy one would be to trace your hands and color them to make turkeys for Thanksgiving. You could make ornaments or candles for Christmas or Hanukkah. Everyone could write on a large poster board, good things that happened for them this year or what they are grateful for. Your family’s focus could be on giving and doing for others by gathering food to donate or serving food to those in need. Another way of giving is to adopt a family through a shelter or religious organization, and providing a holiday for them, that they wouldn’t otherwise have, with food and gifts. 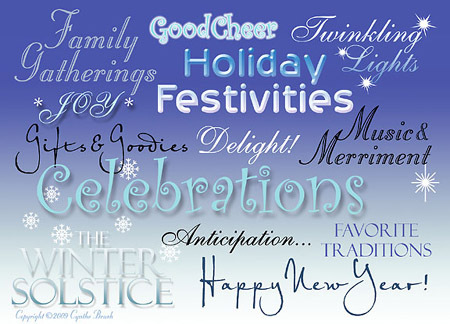 Get creative and MAKE this holiday season meaningful and special! The Holidays are 6 Months Away! You might be wondering why, here in June, I would be writing about the holidays we celebrate in December. While we are many months away from the holiday season of family traditions and gift giving, there are many individuals and families who could use our assistance year round. There is the gift of time, a short visit, a cooked meal, offering to clean or do laundry, or providing a ride. Think of people who are ill, injured or elderly. Once you have your family, then provide a “care package” of new or gently used items throughout the year. Think about the needs you have for each season; summer, fall, winter and spring, as well as at holidays and on birthdays. Donations can be big or small, something for the whole family, for each member or each child. During the summer months, a donation of summer clothing, school supplies, books and toys would be useful.